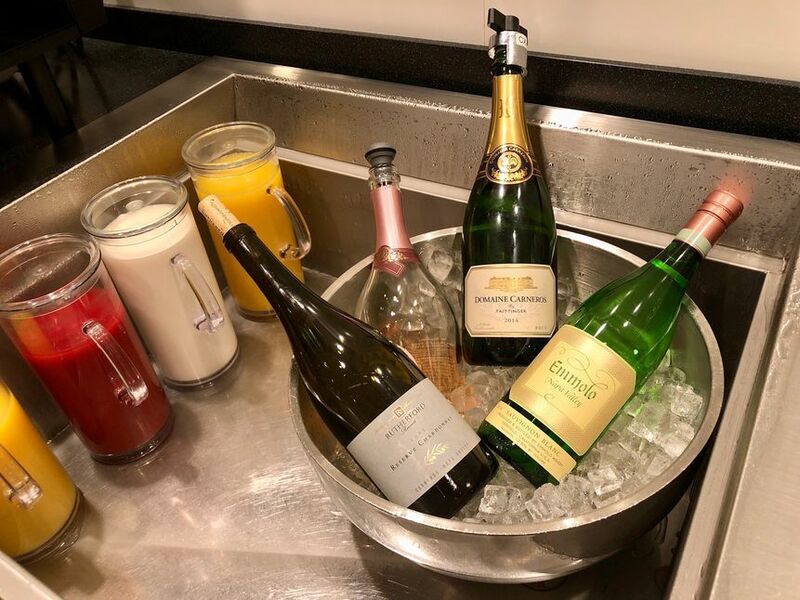 Qantas business class passengers along with Platinum and Gold-grade frequent flyers can now count on a warm welcome at Cathay Pacific's San Francisco lounge ahead of their flights back to Sydney and Melbourne. 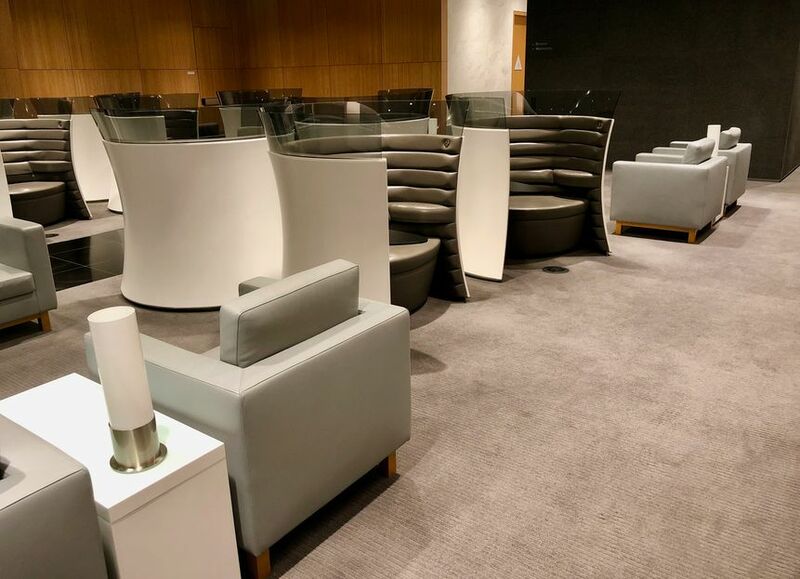 As previously reported on Australian Business Traveller in late 2018, the Oneworld partner airlines had struck a tentative agreement on lounge access following Qantas' launch of its Melbourne-San Francisco Boeing 787 route. This has now been formalised, giving eligible Qantas travellers a better preflight experience before setting out on that 14 hour trans-Pacific trek, with an appealing selection of hot and cold dishes, a Noodle Bar and shower suites and plenty of comfortable seating. 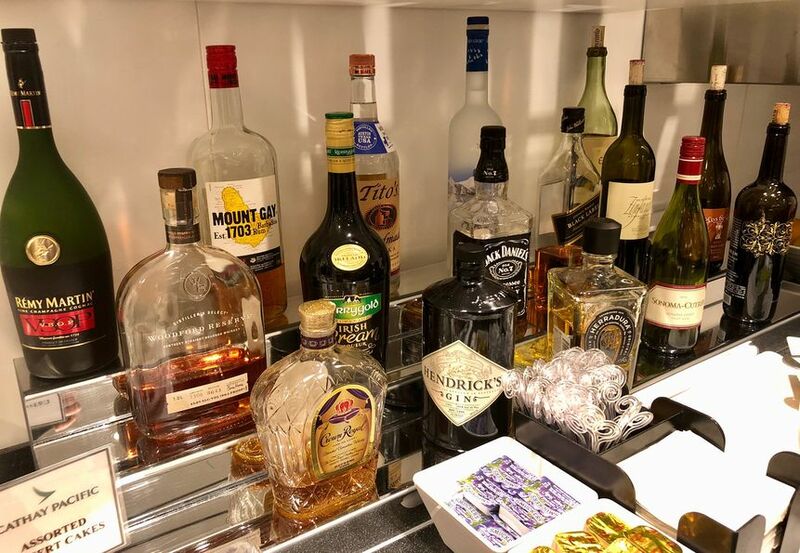 However, Qantas Club members will find themselves the odd ones out and will continue to be relegated to the more spartan Air France/KLM Lounge unless they can be guested into the Cathay Pacific lounge by a fellow Platinum or Gold frequent flyer. 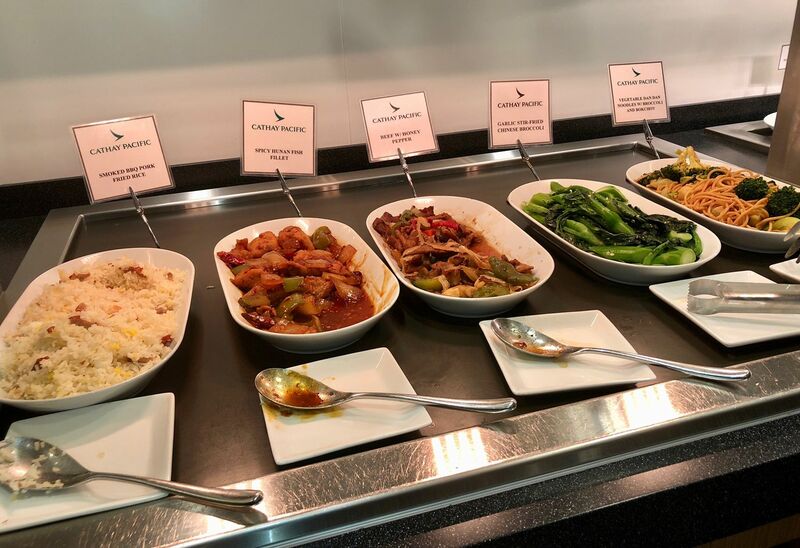 PREVIOUS | Many Qantas travellers flying out of San Francisco are now enjoying an upgraded lounge experience courtesy of Oneworld sibling Cathay Pacific. While a formal lounge access arrangement has yet to be signed, Qantas check-in staff at San Francisco Airport are directing business class passengers, along with many Platinum- and Gold-grade frequent flyers, to the classy Cathay Pacific lounge rather than the less-salubrious Air France/KLM lounge which has been the default for most Qantas flyers. The move comes as Qantas adds four Boeing 787 flights each week from San Francisco to Melbourne, complementing the long-standing Boeing 747 services to Sydney. However, Australian Business Traveller understands that access to the Cathay Pacific lounge is currently not guaranteed, and is based on the direction of check-in staff as to which lounge passengers on QF50 and QF74 are sent. While many Qantas passengers would be eligible to use Cathay Pacific’s San Francisco lounge under the rules of the Oneworld alliance, Cathay had previously limited the number of passengers on Qantas’ Sydney-bound QF74 who were admitted to the lounge due to concerns of over-crowding ahead of its own flights to Hong Kong. 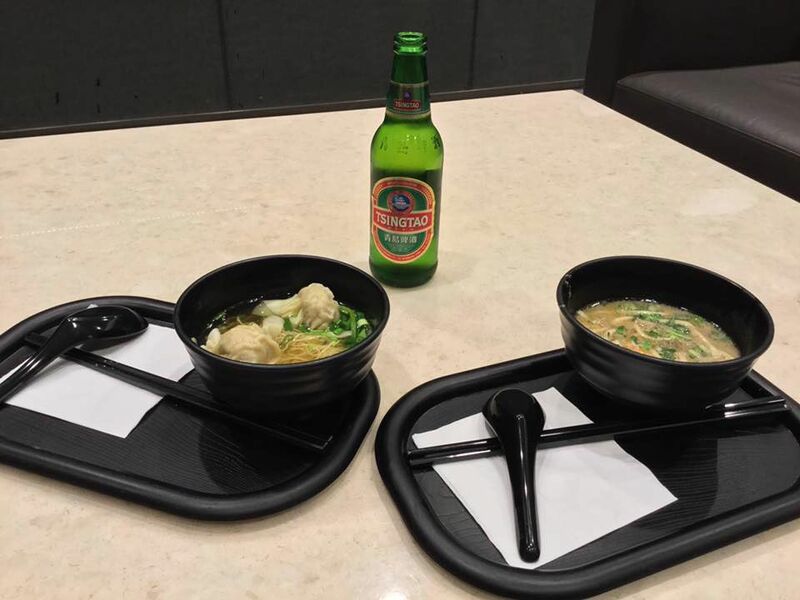 If you are directed to the Cathay Pacific lounge, this is certainly the best way to unwind ahead of that 13-hour flight back to Sydney or Melbourne. 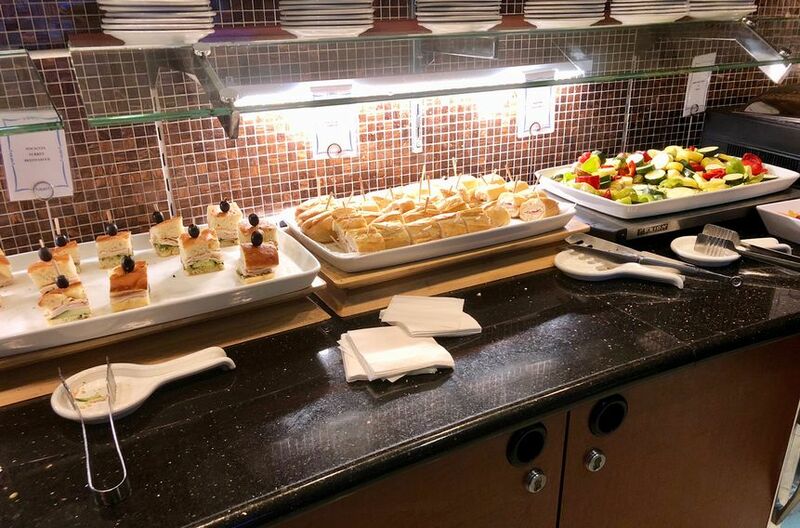 While relatively compact, it’s nowhere near as crowded or cluttered as the Air France/KLM lounge, and also fares much better if you want to grab dinner ahead of your 10pm flight. 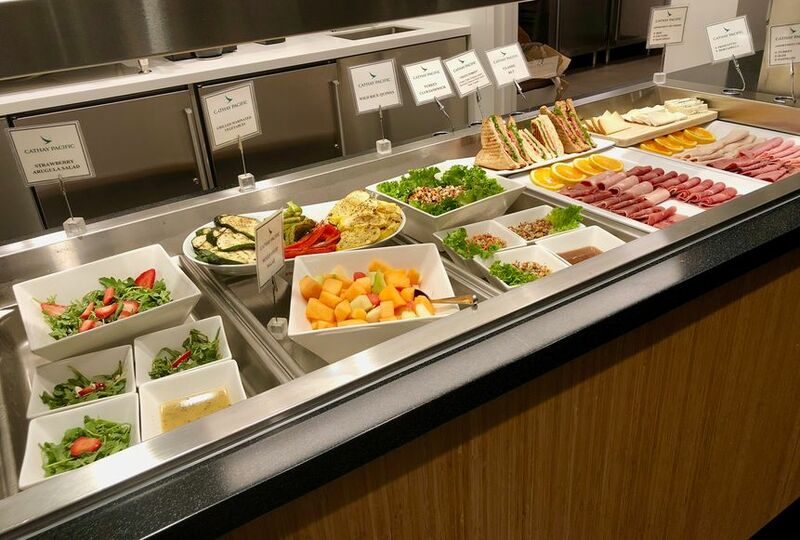 … while the deli counter halfway down the lounge provides sandwiches, salads and other snacks, along with barista-pulled coffee. There's also a decent selection of alcohol, plentiful AC and USB power sockets, and six shower suites. If you need to hammer through some work, the cluster of Solus workstations at the far left end of the lounge might be just the ticket. … although the cakes, macarons and soft chocolate chip cookies will no doubt hit the spot for travellers with a sweet tooth. 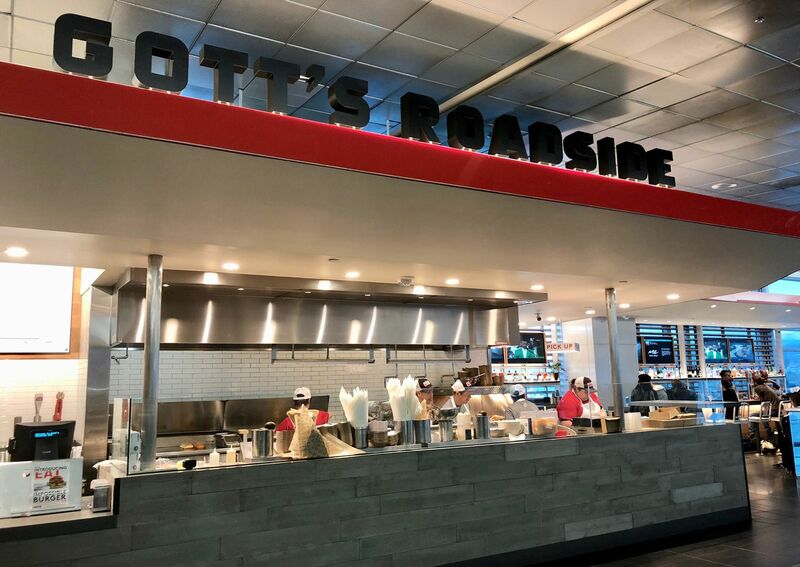 Should you find yourself sent to the Air France/KLM lounge, I suggest exploring the terminal’s own dining options and can highly recommend Gott’s Roadside, located at the far end of the terminal. Gott’s is dressed like your classic American diner but the menu stretches far beyond burgers and fries to include the likes of Ahi tuna tacos and other dishes best described as ‘casual Californian cuisine’. Later this year the terminal will see the opening of a new foodhall featuring San Francisco mainstays such as Boudin’s (best known for hearty chowders served in a sourdough bread bowl) and Tartine bakery (Tartines in the city always has a long line outside). The CX Lounge is fantastic. 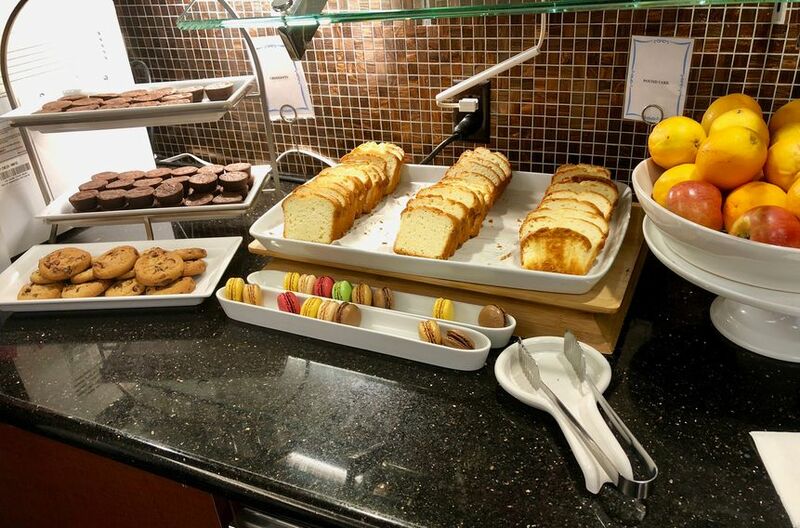 It’s a pity the Air France/KLM Lounge is so underwhelming. Excellent news. I always try and get in by asking politely. 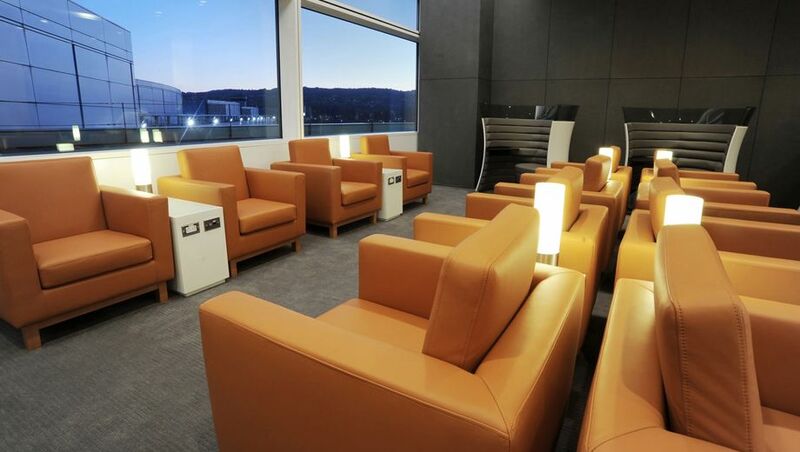 I will be flying back to Mel on the 787 in a few weeks and its nice I know this lounge will be open for me. The timing of the noodle bar opening maybe the only issue. When my eldest son was in there in January the noddle bar was not opened by #74s departure. Enjoyable & nice lounge as are all the off shore CX Lounges. Yes, I recall on a previous visit the noodle bar not being open until closer to the departure of the Sydney flight, however it was open ahead of the flight to Melbourne. Was about to make this comment. Flew QF74 about six months back, using theCX lounge. I asked the lounge attendant about the lack of hot food options- she mentioned the noodle bar was closed because QF hadn’t paid for it (??). May have opened later in the evening because there was/is a CX flight then. Curious whether we will be offered access on a QF flight number to LAX to connect to QF94 traveling in J? If the flight is operated by American Airlines, access would fall under Oneworld rules (subject to capacity contraints, opening hours, departure terminal access and status/cabin entitlement), although if operated by Alaska Airlines, there'd be no access to the Cathay Pacific lounge, as Alaska isn't a Oneworld carrier. 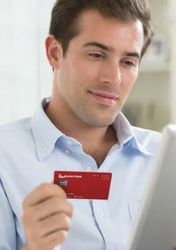 If you have an AMEX Platinum Charge Card, you may be able to access the AMEX Centurion Lounge at SFO, however. AA uses T2 (concourse D) and parts of T1 (concourse C). The rest of T1 (concourse B) is under redevelopment. International oneworld members use the south pier (concourse A) of the International terminal. There is no airside connection between the AA operation and the rest of oneworld. The SFO long term plan is to move AA into concourse B, next to their oneworld partners in concourse A, once the T1 redevelopment is done, but that won't happen until 2022. I recently used the lounge and was happy with it, although until the noodle bar opened at 17:30 other food offerings weren't great. They even have a Qantas representative at the front desk and the number of Qantas flyers made up the greater portion of guests. An interesting point was that to get food from the noodle bar you need to show your boarding pass. I was unsure why until a gentleman flying on Emirates was denied food options from the noodle bar. 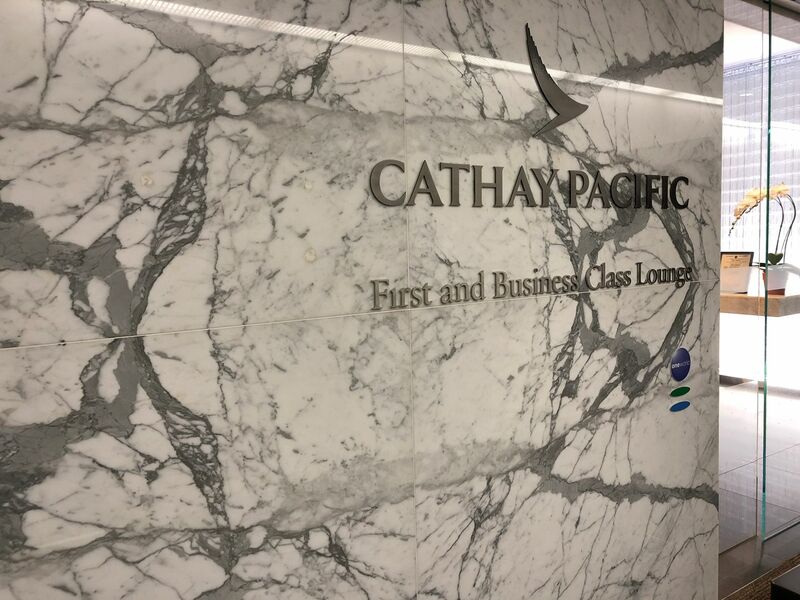 Comment on "Cathay Pacific opens San Francisco lounge to Qantas frequent flyers"